Save Money at Target: It is a popular chain of discount retail stores in the United States. It is headquartered in Minneapolis, Minnesota. There are over 1800 stores across the nation which includes Target discount store, the hypermarket Super Target, and flexible format stores. 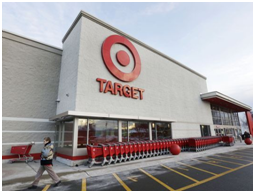 Target sells clothes, beauty and health products, electronics items, food, furniture, jewelry, toys, sporting goods, gardening tools, office supplies and much more. Let’s check how to save more money at Target? It is a pleasurable experience to shop at Target. They offer great discounts, deals, sales, coupons etc on the purchase of various products. There are various tricks that help you save substantially. Target offers different coupons at different times which offer discounts on various items or from manufacturers. You can check the website before you visit the store. The Target Cartwheel is a social coupon program. You can login to it and choose the coupon you are interested in. You can store the barcode on your phone or print it and carry with you when you go to the store. The cashier will scan your personal barcode at the register and deduct the savings. Target offers the product at the lowest price. You can match the price with the price offered at other stores and if you find that it is available at a better price, show the proof within seven days at the Target service desk and present your receipt, you will be offered the product at the lowest price. Target has a weekly markdown schedule and it holds clearance sell for particular category items on the specified day of the week. You can check it and take advantage of that. You can save considerably if you buy during seasonal clearance. You can buy items for the season of next year. You can get discount such as 50% off after the holiday, 75% off three days after and much more. In every Target store, you will find selves at the end of each aisle where you will find clearance items at unbelievable discounts. Walk to the end caps and you will get stuff at a much-reduced price. Target offers coupons on the purchase of certain amount or products. You will find it with your receipts. You make sure that you check your receipt for such coupons and use it. Many times you can combine coupons such as manufacturer coupon and sale coupon or discount coupon. Combining such coupons will save you a lot. When new products are introduced, you get products that have no size restriction at a nominal price or for free. You can find such coupons in the newspaper, cut it and take it to the store. At Target, you will find such products in the trial section for free or for few cents. The store offers fantastic deals every day. You can find such deals at www.target.com. Such deals are usually for a day and you also get free shipping. If you make a Target registry, you will get remaining items at a discounted price once the specified period for the registry is over. Target offers free gift cards with certain purchases in the store. You can buy those products if you really need it and get the gift cards that you can use for your next purchase. Use tricks and make shopping at Target a fun along with great savings! How to save more money at Target?